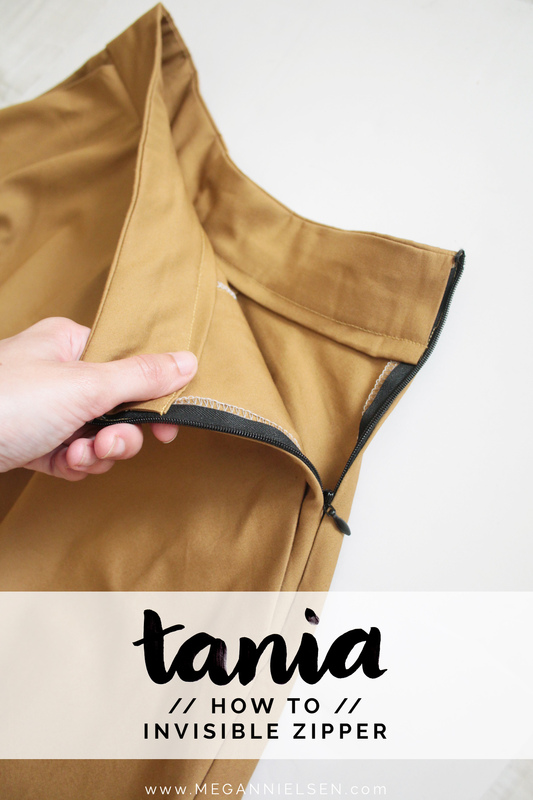 So today in our Tania culotte construction, we are going to tackle the zipper closure in the left side seam. 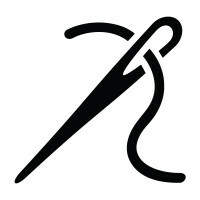 If you’ve never sewn a zipper before, don’t worry – an invisible zipper is one of the easiest ones to do, and is what is used in the Tania instructions. And I also have some tips and tricks to help you along the way. 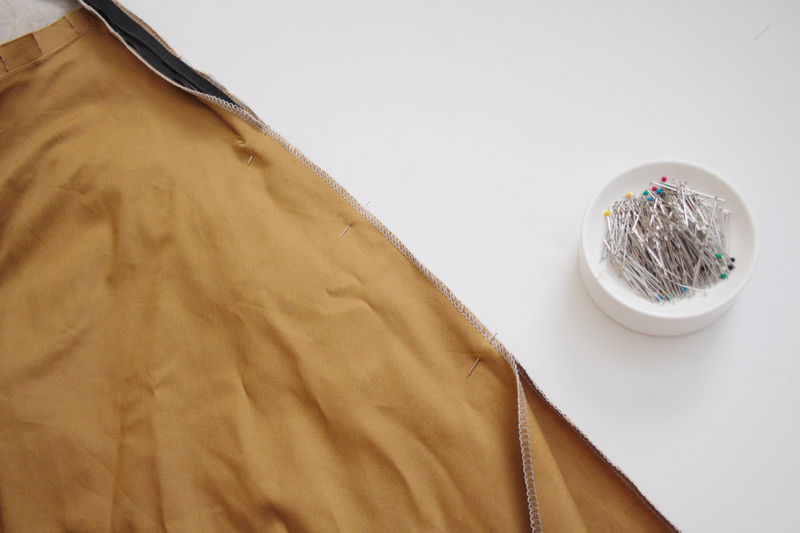 If invisible zippers are not your thing, stay tuned for another post coming up – we’ll also be showing you how to do a lapped zipper with the waistband facing! 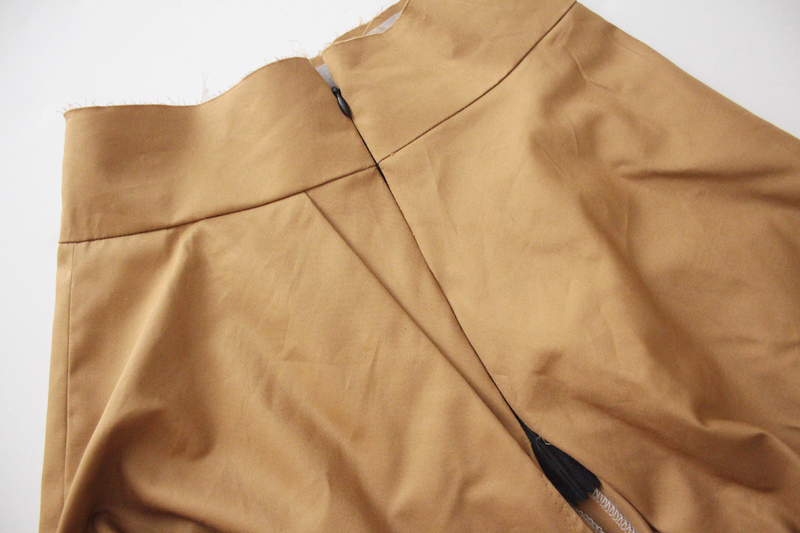 Before we get started with the actual zipper, you should first finish the raw edges of both left seam edges. Note: if you are using a serger, don’t trim off any of the seam allowance, only finish the raw edge. Sew a line of basting stitches 5/8″ from the (now finished) edge. About 10″ down or so. Since zippers come in different tape widths, this basting stitching is going to act as your placement guide for the zipper. Fully unzip your zipper. See how the zipper teeth/coil are curled and rolled? 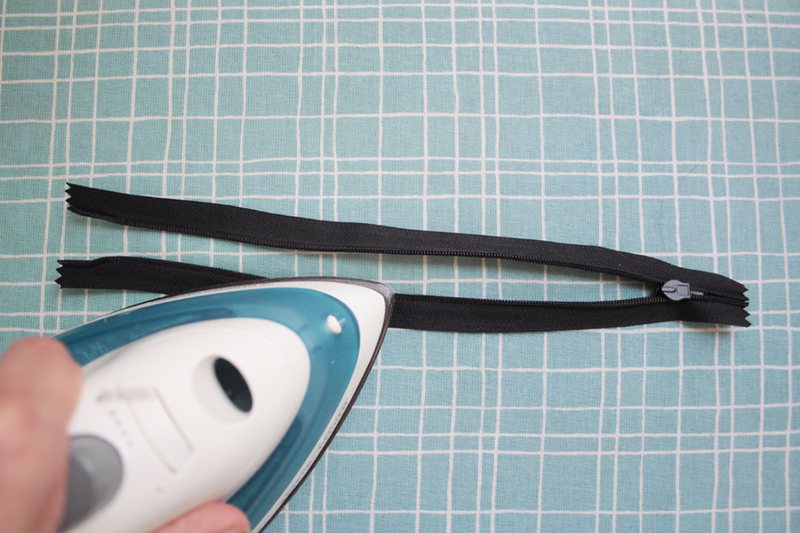 Place your zipper face down, and press each side flat with your iron. This will help you stitch closer to the coils. Note: you may want to lower the heat setting on your iron, to avoid the possibility of melting your plastic zipper teeth. Lay your culottes with right side facing you. Place your zipper face down on top of it, so that the coil is facing inward towards the garment, and lined up on top of the basting stitches. 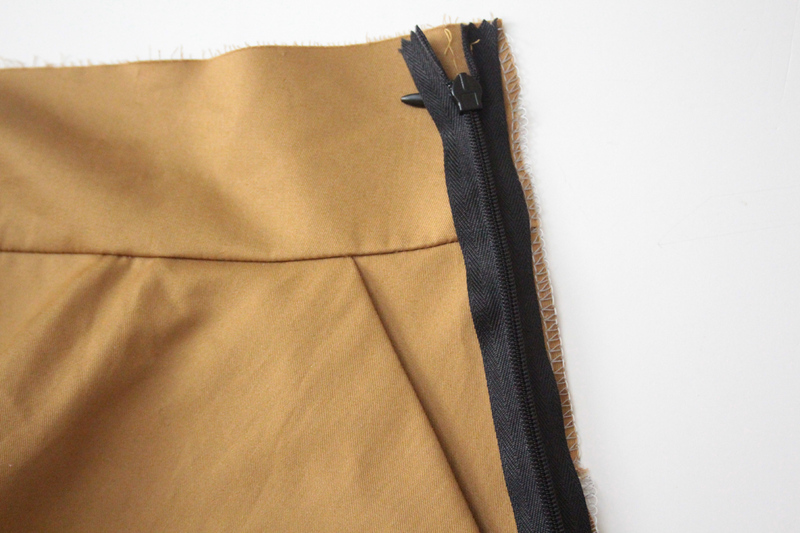 You will most likely be lining up the top edge of the zipper tape with the waistband edge. 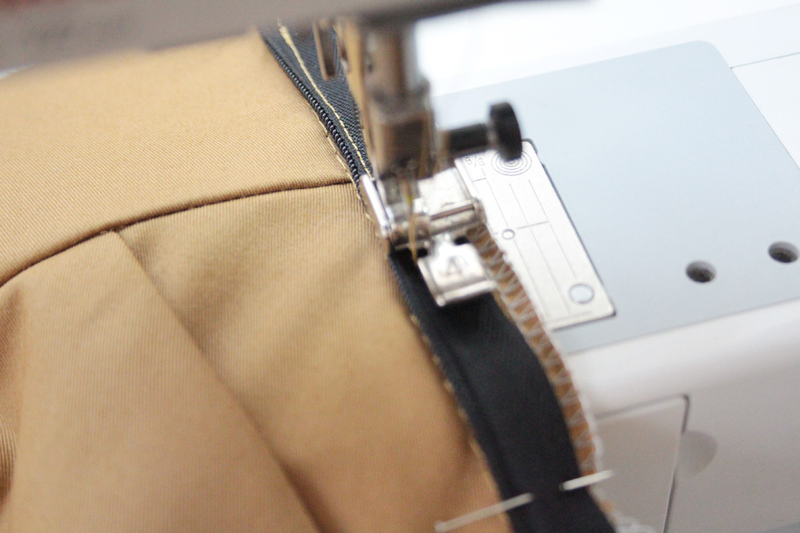 But all zippers are different, so make sure the top of the zipper coil is 5/8″ from the edge. Pin in place along the entire length of the zipper. Using either an invisible zipper foot or a regular zipper foot (both work fine, I prefer to use my regular zipper foot), sew along the zipper tape close to the coil. Stop when your zipper foot hits the zipper slider at the bottom. So here’s a little trick I have for you! One of the most frustrating parts of installing a zipper is when something gets twisted or not lined up right, and your waistline seam ends up not matching up on either side of the zipper. But there is an easy way to ensure it does! Now that you have one side stitched in place, zip up your zipper. Flip the zipper over so you are looking at the right side. 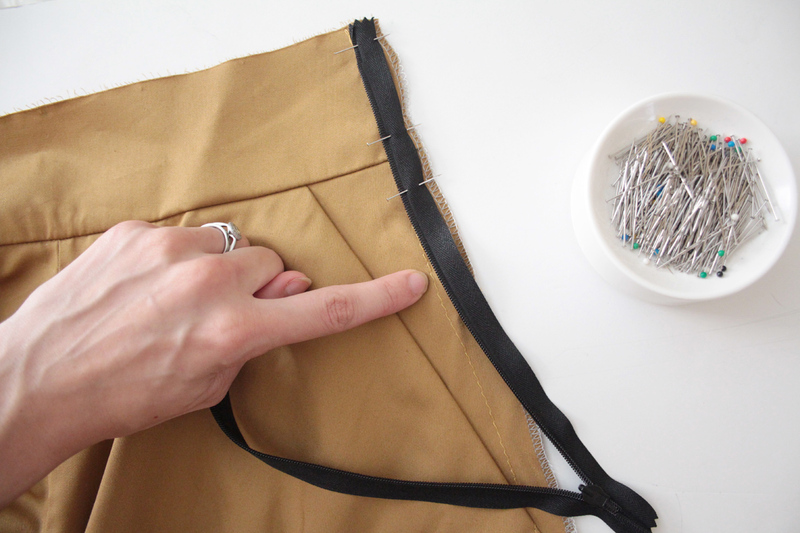 Using tailors chalk or another marking device, mark where your waistline is on the zipper tape. So now unzip the zipper again. Fold your culottes over in half so right sides are together. 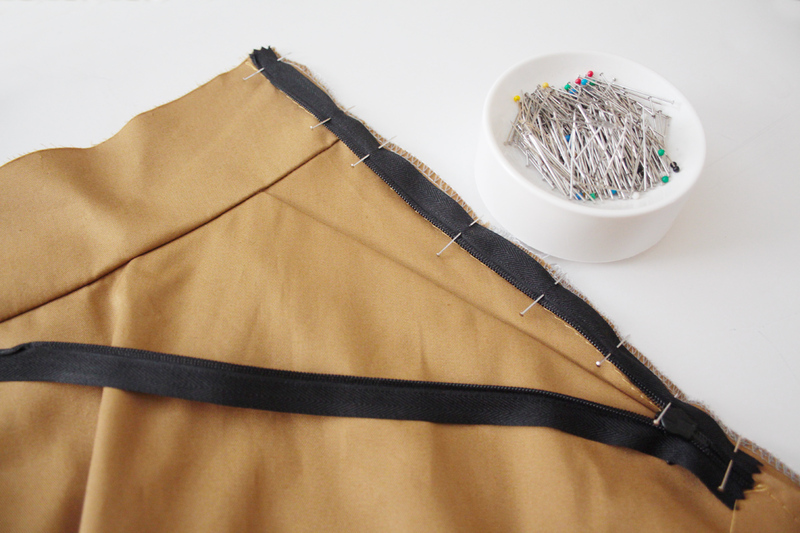 Pin the other side of the zipper to the side seam in the same manner as before. 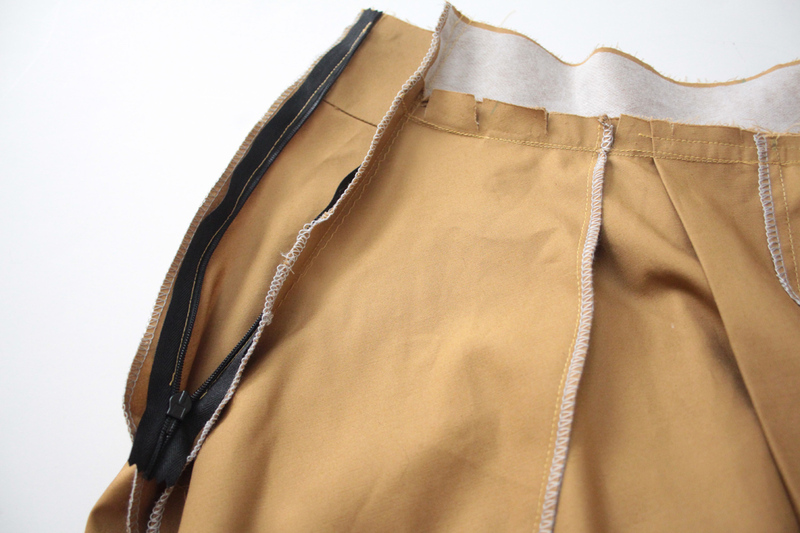 Remember, the zipper should be face down on the right side of the culottes, and the zipper coil should be lined up on top of the basting stitches. 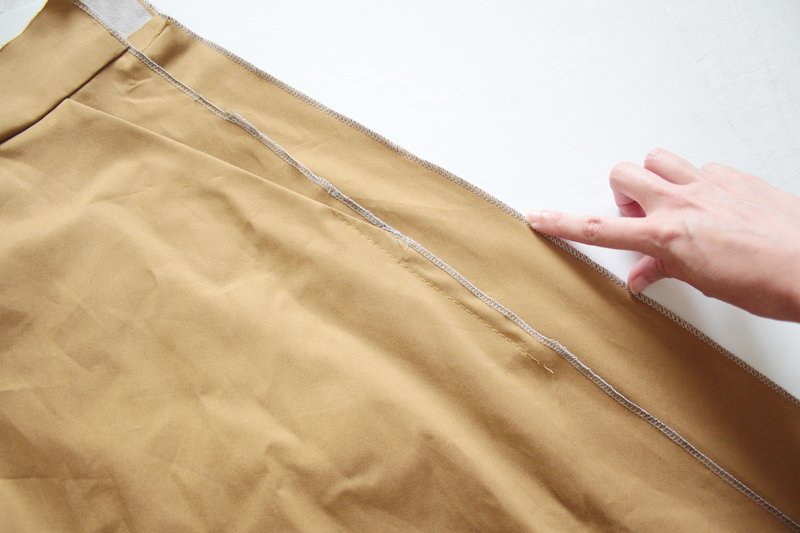 Make sure your waistline marking is matched up with the waistline seam! Again, using your zipper foot, stitch in place close to the coils. Stop when you hit the slider at the bottom. 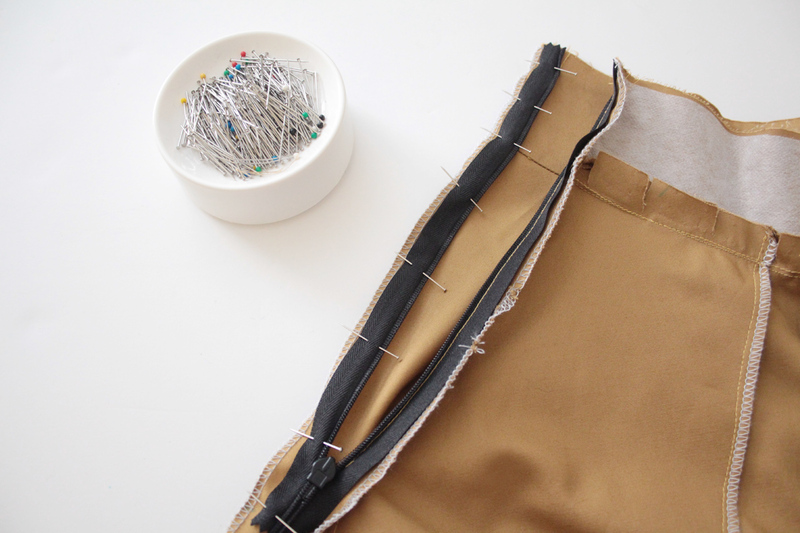 Turn your culottes right side out, and zip up the zipper to make sure everything is lined up and nothing is twisted. See how perfectly lined up that waist seam is? That trick works like a charm! Now we need to sew the rest of the left side seam. Turn the culottes inside out again, keeping the zipper zipped up. The zipper will be sandwiched in the seam allowance. 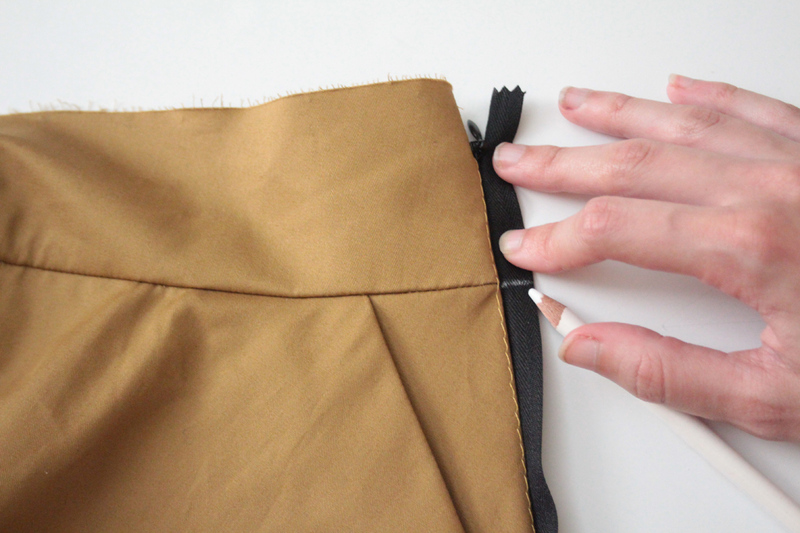 Move your zipper tail out of the way, letting it stick out from your seam allowance if necessary. You don’t want it to get caught as you stitch your seam. Line up the rest of the side seam and pin in place. 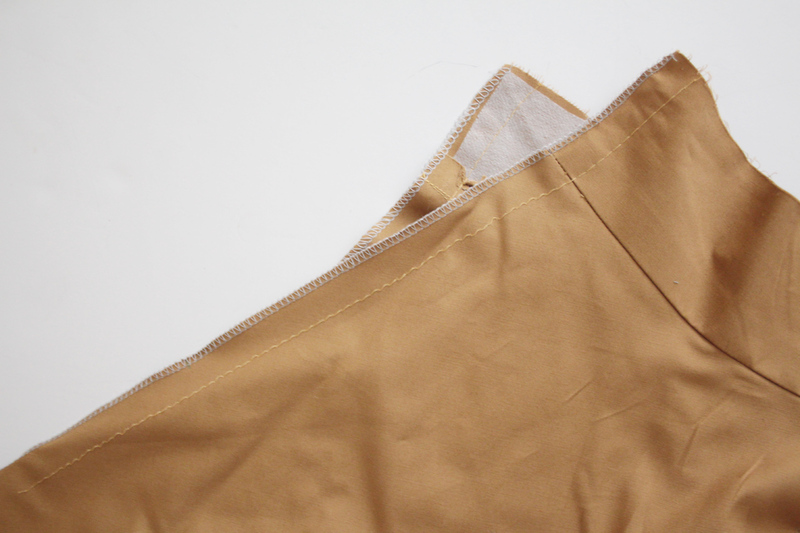 Using a regular zipper foot, sew 5/8″ from the seam edge, from the bottom of the zipper all the way down to the hem. As you can see above, the two stitch lines don’t line up near the bottom of the zipper because of the bulk, and yours most likely won’t either. But that’s ok! It will be hidden in your zipper end, and you won’t even be able to tell. Open the seam up and press well!